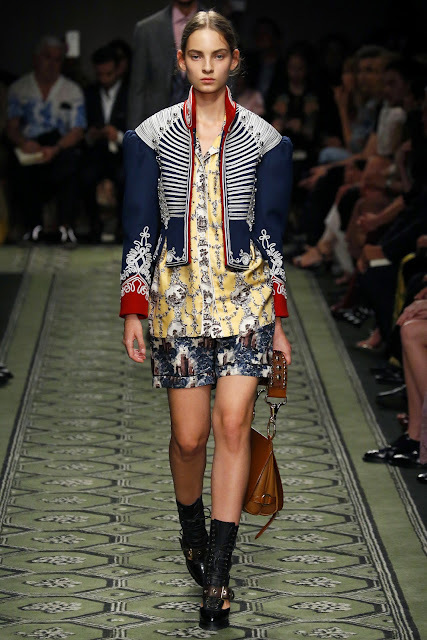 As we come to the end of another London Fashion Week, I really want to talk about Burberry. 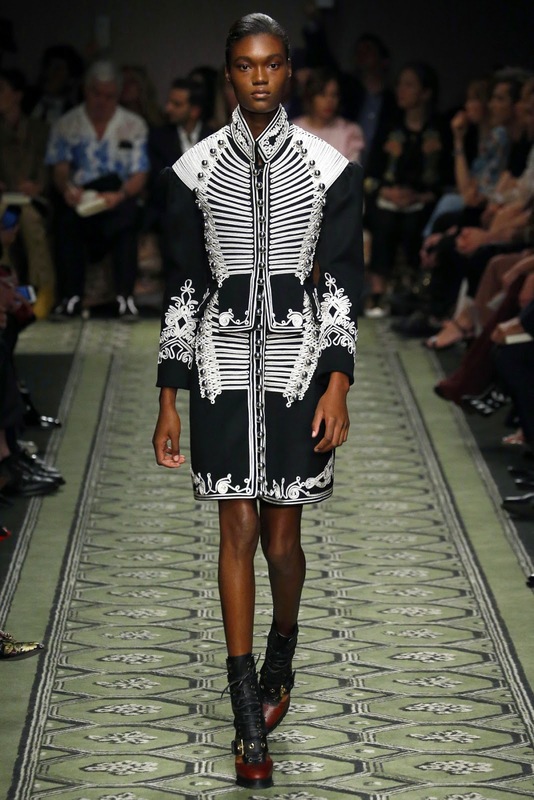 The house's September collection had its runway debut on Monday evening and was the first Burberry 'see now, buy now' collection. As fashion has always been seasonal (Spring/Summer collections are previewed in September, Autumn/Winter in February), designers constantly struggle to face the demand from consumers who want the clothes from the runway immediately and are also faced with the reproduction of cheaply made versions of their designs being plastered all over the high street. The 'see now, buy now' concept gets rid of the seasons turning ready to wear into ready to wear immediately. It's a risky concept, one which Creative Director Christopher Bailey has been championing since the February shows, but it does give designers back control and also meets the demands of the consumer. Fashion relies heavily on social media and 'see now, buy now' certainly meets the immediacy demanded by those viewers who have to have everything they see. I think the idea is revolutionary (it also featured both menswear and womenswear as opposed to having two separate shows! 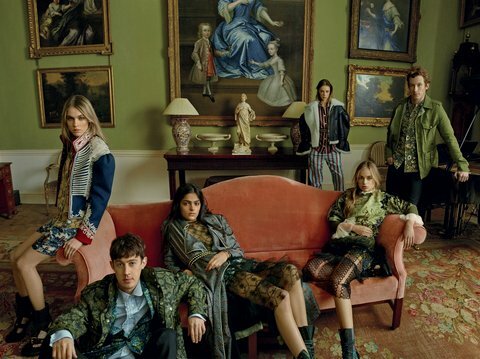 ); here you have it, the very first Burberry September Collection. Every Burberry show always features at least one dress that I'd die to own. Look 2 was this season's. The fabric moved beautifully, and whilst I wasn't a great fan of some of the neutral colour choices, the palette really works here. And I absolutely love the print. The military jacket in all of its guises (above in various different looks), stole the show for me. It ticked all of the boxes in terms of fit, detail and tailoring and really stood out against some of the more neutral looks. 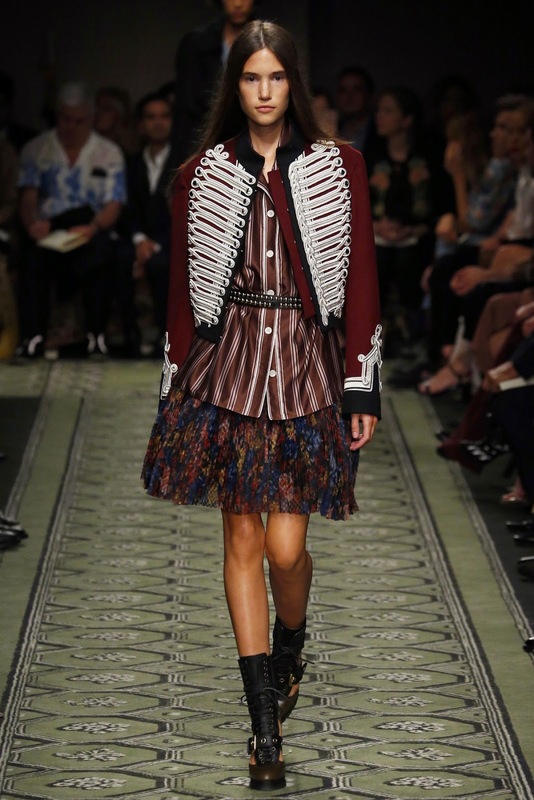 Burberry always get it right when it comes to outerwear, and the military jacket is surely making a comeback-investment piece of the season perhaps? It's definitely on my wishlist. The September show also brought us the new Bridle bag. Available in a variety of skins and colours (and prices-one being £16,000! 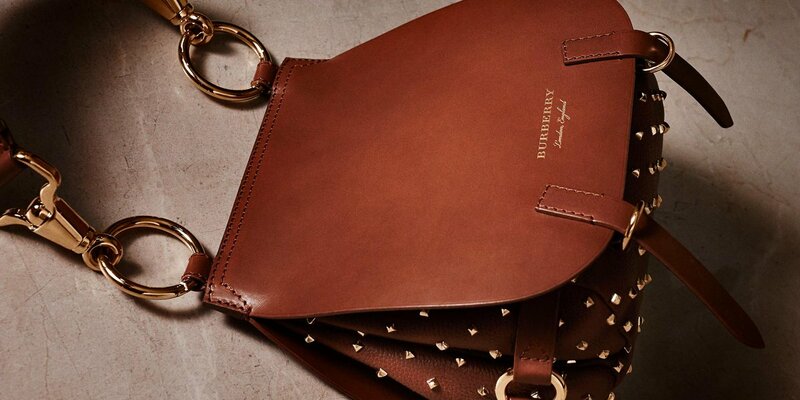 ), the bridle bag is the new classic. The new IT bag perhaps? Let's hope so. 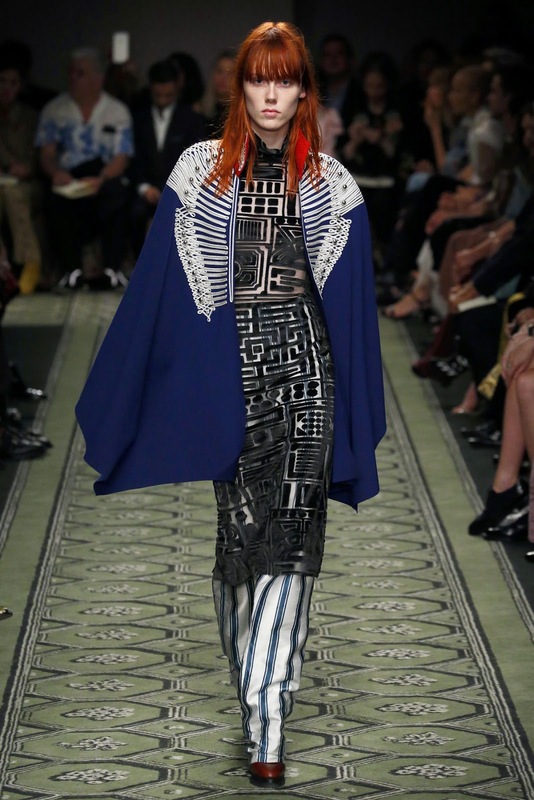 So now to the verdict: I loved the Burberry September show. I'm a massive fan of Christopher Bailey and his forward thinking strategy for the brand and I think the decision to appoint a new CEO, allowing him to concentrate solely on his Creative Director role, was a great one. Bailey seems to have got back his artistic freedom, he's played around with ideas and story in this show. The designs are striking and most importantly-wearable. I hope 'see now, buy now' is a success; I guess only the numbers in the coming months will answer that question. He may have shook up the fashion world and a system that has been established for years, but at least for this show it was definitely the right decision.